Trains through the Brisbane CBD are suspended due to a problem with the overhead power lines near Fortitude Valley train station. A power fault has thrown Brisbane's train network into chaos. Trains have resumed across the network. Delays of up to 60 minutes are still expected. 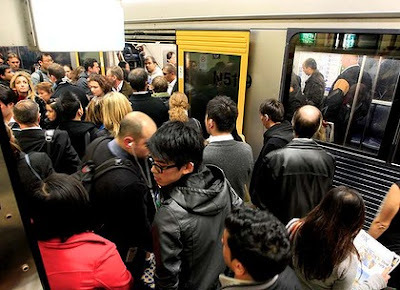 Authorities believe a single clamp may be responsible for Brisbane's horrendous commute this morning, unleashing a 25,000-volt power surge that prevented trains entering the CBD and caused subsequent logjams on the city's roads. As train services begin to return to normal, attention has now turned to how a single power line could bring down such a major part of the transport network. Thousands of Translink customers were left stranded for hours from 6am after an electrical fault stopped trains from passing through city central train stations. Morning rush ... commuters struggle to get on to a CityRail train. 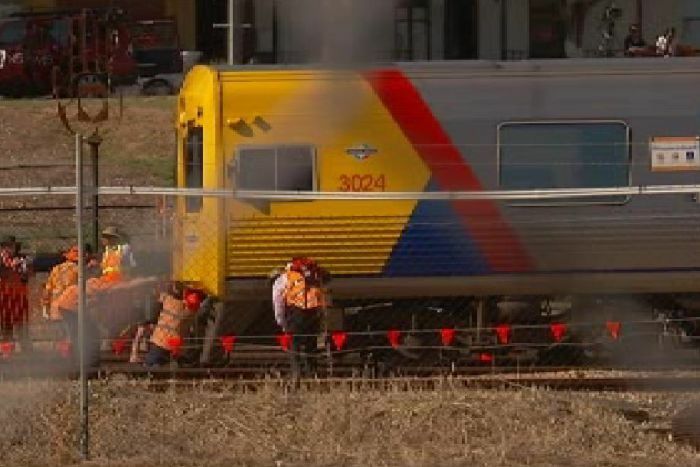 A “very disappointed” Transport Minister Annastacia Palaszczuk said she had asked for a “full explanation” from Queensland Rail. “Current advice is that a clamp holding an overhead high voltage line may have failed causing the overhead power line to fall and make contact with the rail, sending 25,000 volts through the signals and switching equipment,” Ms Palaszczuk said. Ms Palaszczuk said safety was the paramount concern and trains could not run on the impacted lines. It is believed to be the first time a failure like this has occurred. Ms Palaszczuk apologised to commuters for this morning’s disruptions, which resulted in additional congestion impacting major roads running in and out of the city. Some commuters experienced delays of up to three hours. Train services were restored to the affected stations just before 9am, however the residual hold-ups from the morning’s chaos meant services were delayed by at least an hour. Ms Palaszczuk said Queensland Rail had an additional 25 buses operating and Translink had altered the express bus route along Milton Road to have buses stop at Milton train station. She said she would ask senior Queensland Rail staff to look at what could be done prevent a repeat of this morning’s incident. 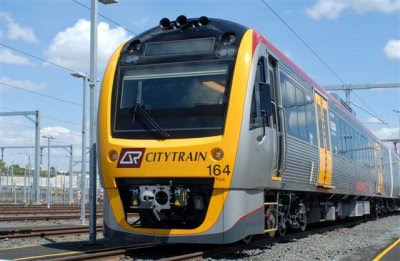 “I understand that Queensland Rail’s maintenance program is considered best practice in asset management and is used successfully by many rail networks around the world,” she said. “Full scale asset maintenance works are scheduled four times a year for each zone on the QR network. Of course, when issues emerge between the major maintenance works, works are undertaken straight away. Robert Dow from lobby group Rail Back on Track said this morning's problems highlighted why the Cross River Rail project was so important. “What happened this morning was rather unfortunate," Mr Dow said. “Overall the overhead is generally fairly reliable, particularly through Milton, South Brisbane and through to Bowen Hills. “There wasn’t a lot they could do about what happened. “But the problem is we have a convergent network and to fix it, they had to stop running the trains through those stations.